Like in a fairy tale, against all odds Helena wins her man. Sadly, her prince is a frog – but life’s never simple, nobody’s a saint, and there’s no accounting for taste. Another great Bard in the Yard production. For many years the play was branded a ‘problem play’ and received only rare stagings around the world. But John Marwick, who directed this 2004 production of the play in Eastbourne, believed it deserved a much better name and a wider audience. Here is his media release from the show. “It’s an overlooked gem” Marwick says – and he seems to be in good company. Britain’s Royal Shakespeare Company’s production opened at Stratford-on-Avon in December starring Dame Judi Dench in what the Guardian’s theatre critic called an “exquisite production of this infinitely fascinating play”. Marwick, creator and usual director of the Bard in the Yard series, sees the play as an intriguing mix of reality and romance. Shakespeare he says has written characters with very real human frailties and set them in a fairy tale story. In the past that combination was thought to be unclear, unworkable and too difficult, so, when it was produced, directors tended to emphasise either reality or romance. Marwick thinks that in this play Shakespeare deliberately pushes the boundaries of ambiguity. To underline this and the play’s uncertain ending Marwick has added a question mark to the title: All’s Well that Ends Well? An intensive rehearsal period is just starting for the 12 strong cast most of whom are locals and have appeared in previous Bard in the Yard shows – though two are making the journey from Wellington. Parts are keenly sought after and actors keep coming back for more. This despite the difficulties of Shakespeare’s language, learning lines in only six weeks, and presenting ‘in the round’ and outdoors (though they move inside if the weather turns bad). As in previous years the format for the shows is to strip the plays down to bare essentials. The venue is literally a yard – in this case the Muritai School Yard. Audience are seated around the acting area with only simple lighting and minimal set. Even costume is minimised so that the whole attention focuses on Shakespeare’s language, his story and the people in it. The play, as one of the characters says, is about life as a mingled yarn of good and ill together. There will be moments to smile and laugh and times to cry and wonder at our fellow man. 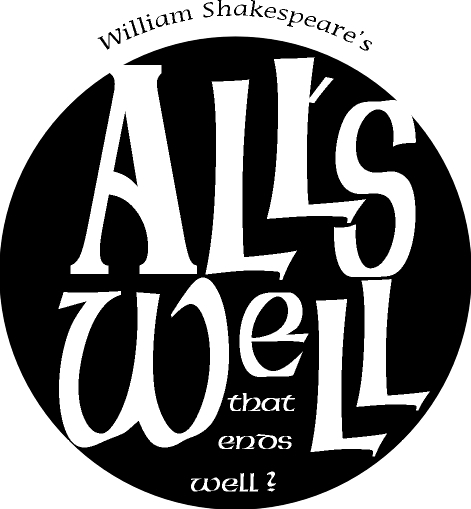 SOMETIMES, a simple and unencumbered production of a Shakespearean play that focuses clearly on the plots and sub-plots and the richness of his words can overcome their many perceived problems, which is borne out in Butterfly Creek Theatre Troupe’s excellent production of All’s Well That Ends Well, their Bard in the Yard production for this year. Written late in Shakespeare’s life, it is a much heavier comedy than his earlier ones with its complex and convoluted story lines about death, betrayal, hate and loss of love. Yet this production was able to subjugate many of the play’s difficulties, bringing out the humour while still managing to portray the play’s darker elements. Helena, of lower birth, chases Bertram, a nobleman. Eventually, with the help of the king, she snares her man, but he won’t have a bar of her, preferring instead the more nubile Florentine girls. They do, however, end up getting married, but Bertram rushes off to war before the marriage is consummated. Not to be outdone, Helena convinces his current mistress Diana to swap places with her in his bed. As a consequence, Helena becomes pregnant, thus making the reluctant cad Bertram accept her as his wife. Although the story’s resolution appears to be based on the premise that in the dark, aIl women are alike to men, it does have a number of redeeming features, not the least of: which is the subplot of the rise and fall of the scoundrel Parolles, Bertram’s companion. As Parolles, Peter Baldock is excellent. His understated performance and masterful delivery of some of the Bard’s funniest lines, along with lots of comic action from director John Marwick, make this the highlight of the production. He is ably supported by fine performances from the rest of the cast, in particular Ben Cain and Rowan Macrae who, as Bertram and Helena, bring depth and understanding to what are essentially unsympathetic characters, making this simple but effective production of one of Shakespeare’s lesser-known plays enjoyably entertaining.